Reverend Peter J. Gomes, who oversaw Memorial Church for the past three and a half decades, died Monday evening after suffering a brain aneurysm and heart attack. He was 68. 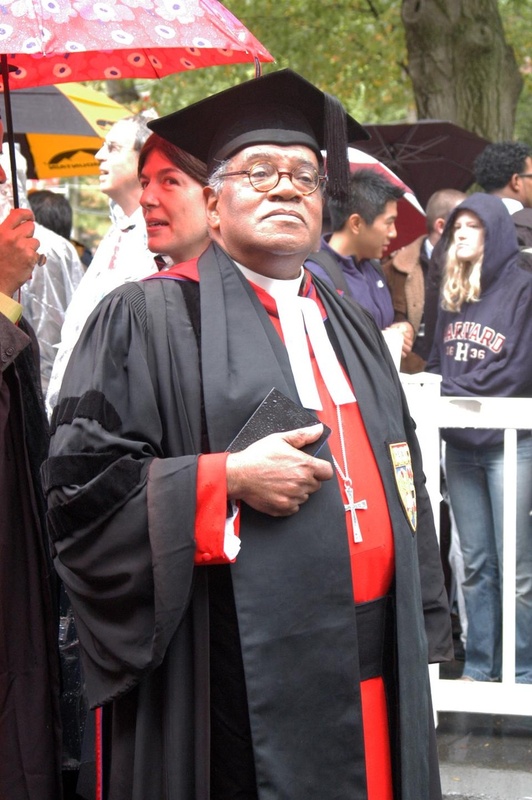 His death was announced in an e-mail to members of the Harvard-Radcliffe Christian Fellowship and confirmed by a staff member at the Harvard University Choir. Gomes was hospitalized at Massachusetts General Hospital this past December after suffering a stroke. He was later moved to Spaulding Rehabilitation Hospital in Boston. Friends reported as recently as this January that Gomes was recovering and in good condition. They said that he hoped to return to Harvard and deliver the Easter sermon at Memorial Church. In 2009, Gomes received a pacemaker after stumbling as a result of dizziness during a speaking appearance at St. Lawrence University in New York. By all accounts, Gomes—who was the Plummer Professor of Christian Morals at the Harvard Divinity School—maintained a tremendous presence at Harvard as well as around the country. He taught the popular course Religion 1513: “History of Harvard and Its Presidents” and delivered prayers at the inaugurations of Presidents George H.W. Bush and Ronald Reagan. “He’s been a brilliant preacher and has carried the Memorial Church and the heart of the College for decades now,” Memorial Church Associate Minister and longtime friend Dorothy A. Austin said of Gomes in January. Gomes also served as an advocate for gay rights since he came out in 1991. He was a prolific author, writing New York Times bestsellers such as “The Good Book: Reading the Bible with Mind and Heart” and “Sermons: The Book of Wisdom for Daily Living”. He said that he planned to retire in 2012 after more than 40 years at Harvard.